No matter how much laundry you have, the equipment at our Clean Laundry laundromat on Kirkwood Blvd. can get it washed and dried faster than you ever thought possible. Bring in your jam-packed clothes hampers, king-size comforters, pet beds, rugs, and all piles of laundry today. It's About Time! Clean, friendly, fast. Downside is it costs more than some of the other laundromat I've used. Still the convienence and Wi-Fi access made up for this. Staff is friendly when present, and if you've forgotten to pick up some bills for the change machines they actually have card readers. Though, you may get stuck turning your money into otherwise worthless tokens. Prices on the individual washing machines are a bit of a sticker shock, but the equipment is new and in generally working order. It's a bit out of the way, but I'll probably keep busing up here to do my laundry. Best laundromat in this town. You always know what part of town you are in when you go into a laundromat and this place is safe and comfortable. I struggle to find a place to wash clothes where... hate to say it, but out of place. Many times they can have rough people in there or ridiculously busy but this place is nice clean and not ghetto af. Imagine a spotlessly clean laundromat, filled with laundry equipment that fits every need no matter the load size. A place that can get your laundry done in less than an hour! A place that has free Wi-Fi, 70” televisions, is always open and is monitored for your security and safety 24-hours a day. A place that was carefully designed to ensure your comfort and make doing your laundry as fast and easy as possible. You don’t need to imagine it any longer, it’s right here in Cedar Rapids! It’s called Clean Laundry, and it’s about time! Our washers and dryers aren't like the average household machines. They're huge commercial laundry machines capable of washing up to nine loads at once! Advanced water systems provide you with seriously soft water, which means cleaner clothes with less detergent! Plus, when you set the washing machine settings to hot water, we make sure you get steaming hot to ensure the best clean. Our Cedar Rapids location on Kirkwood Blvd. has 24 washers and 26 dryers in many different sizes to meet your laundry needs. 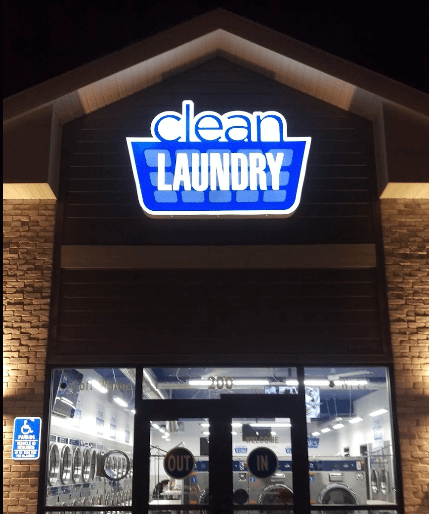 The Cedar Rapids Clean Laundry Store opened its doors in 2018. This 2200 sq. ft. laundromat is conveniently located in the Kirkwood Plaza (Next to Jimmy Johns and across from Kirkwood Community College.) 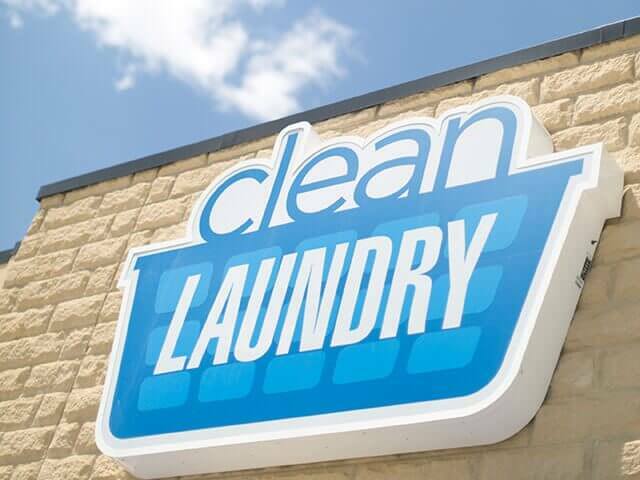 Nestled near the thriving Kirkwood Community College on the southwest side of Cedar Rapids, this laundromat is the perfect solution for busy college students and anyone looking to get their laundry done fast and affordably.